You can see why the U-2 is considered the most difficult plane in the world to fly. Each pilot has a co-pilot, who chases the plane on the runway in a sports car. Most of the cars are either Pontiac GTOs or Chevrolet Camaros - the Air Force buys American. The chase cars talk the pilot down as he lands on bicycle-style landing gear. at an amazing rate of nearly 10,000 feet a minute. Within about four minutes, I was at 40,000 feet, higher than any commercial airplane. We kept going up to 13 miles above Earth's surface. you're not moving, but you're actually going 500 mph. The U-2 was built to go higher than any other aircraft. In fact today, more than 50 years since it went into production, the U-2 flies higher than any aircraft in the world with the exception of the space shuttle. inside a country without actually flying over it. It can "see" in the dark and through clouds. It can also "hear," intercepting conversations 14 miles below. The U-2, an incredible piece of history and also a current piece of high technology, is at the center of the wars in Iraq and Afghanistan .. 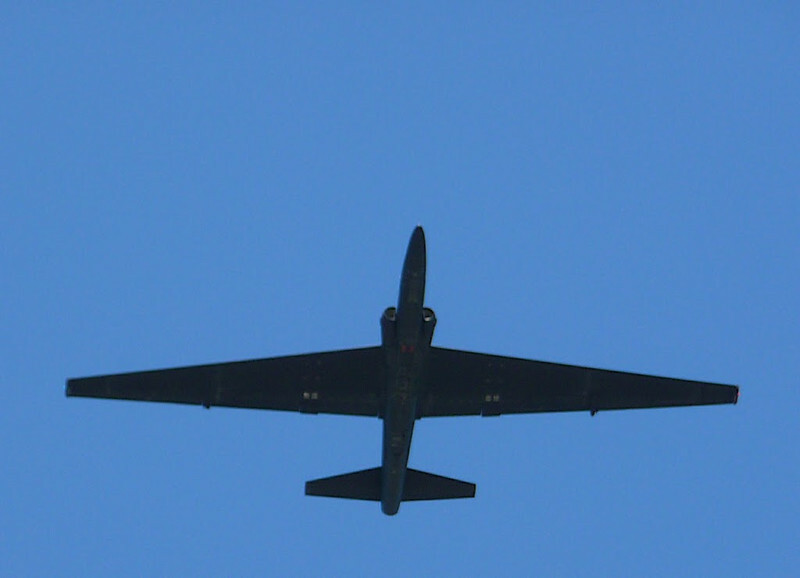 The Lockheed U-2, nicknamed "Dragon Lady", is a single-engine, very high-altitude surveillance aircraft flown by the United States Air Force and previously flown by the Central Intelligence Agency. It provides day and night, very high-altitude (70,000 feet/21,000 meters), all-weather surveillance. The aircraft is also used for electronic sensor research and development, satellite calibration, and satellite data validation. The large wingspan and resulting glider-like characteristics of the U-2 make it highly sensitive to crosswinds which, together with its tendency to float over the runway, makes the U-2 notoriously difficult to land. This results in a required chase car (usually a "souped-up" performance model including a Ford Mustang SSP, a Chevrolet Camaro B4C, and most recently a Pontiac GTO) and assistant who "talks" the pilot down by calling off the declining height of the aircraft in feet as it decreases air speed in order to overcome the cushion of air provided by the high-lift wings in ground effect.